Nineteen cases of armistice violation by terrorist groups in the Donbas in the zone of the Anti-Terrorist Operation were recorded over the day of November 9. As a result of ceasefire violations by militants two Ukrainian servicemen were injured. The corresponding information was provided by the press center of the ATO headquarters on Facebook. 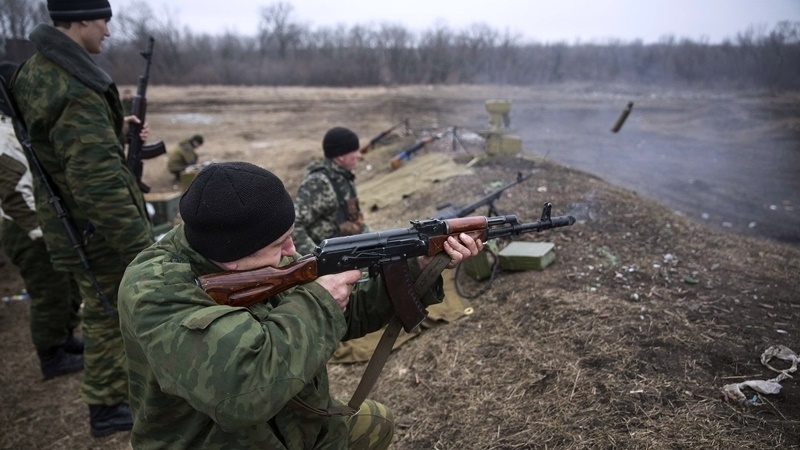 “Over the past day, the situation in the ATO zone has not undergone any significant changes. The enemy continued firing on the positions of the Ukrainian army, using mortars alone," reads the message. Reportedly, 4 cases of the militants using infantry armament and mortars of 82 mm caliber were recorded on the Luhansk direction. On the approaches to Donetsk, the terrorists of the "DPR" fired at the positions of the Ukrainian armed forces from grenade launchers near Avdiivka. In the Primorsky direction, militants, in particular, used small arms. Earlier, on November 8, in the area of the Anti-Terrorist Operation in the Donbas, as a result of the fighting, a Ukrainian soldier was killed, two more were wounded. Totally, 19 cases of the armistice violations by the militants were recorded. Most of the shelling occurred in the Luhansk direction.